We are a Silicon Valley web development team. We partner with great designers. We work with top brands. We build web sites and web applications. 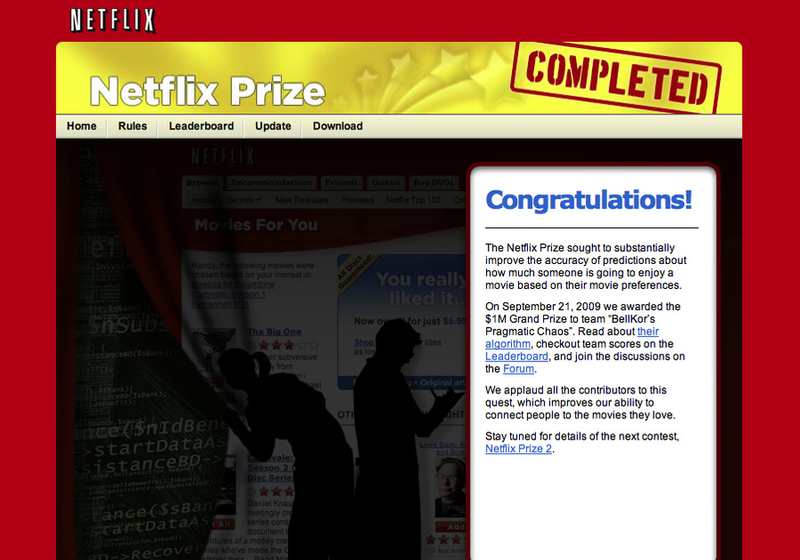 A custom web application that managed over 51,000 contestants from 186 different countries competing for the infamous million dollar "Netflix Prize". The website received millions of impressions, was publicized in the NY Times, CNN, Wired Magazine, Business Week.